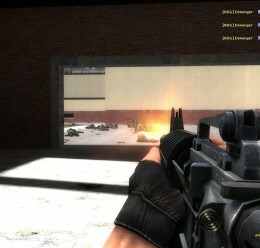 Twitch Weaponry is a SWEP pack featuring multiple CS:S weapons. 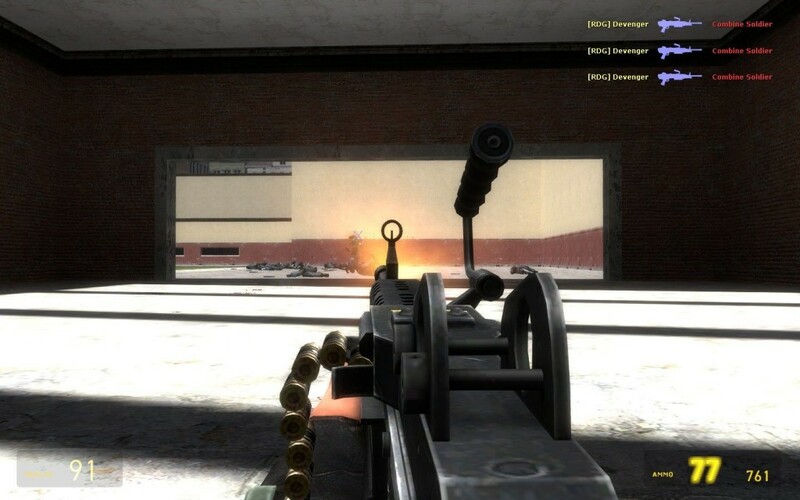 Its unique feature is that holding right-click with a Twitch weapon out enters an aim mode, in which you can aim more precisely and move your crosshair a certain distance from the centre of the screen. 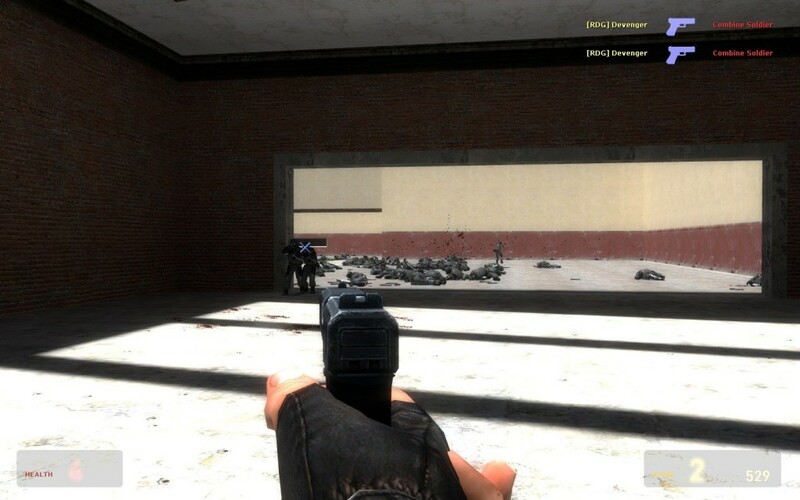 The weapon's model moves to point at where you are aiming, and transitions between aiming and not aiming are rapid yet smooth. 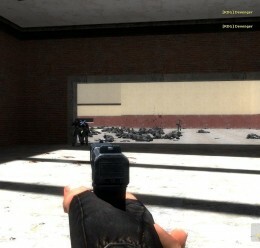 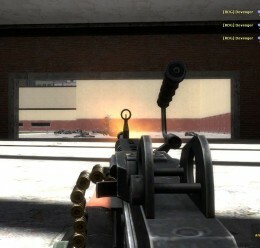 The weapons have recoil, which can be reduced by crouching. 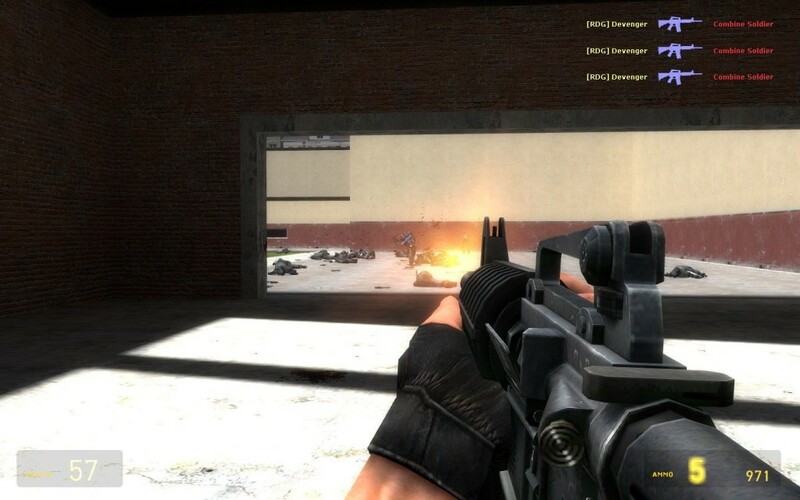 Flashlights follow where you aim your weapon, making encounters in the dark more dramatic.